Don't let the history books fool you — colonial women were critical to the founding of America! 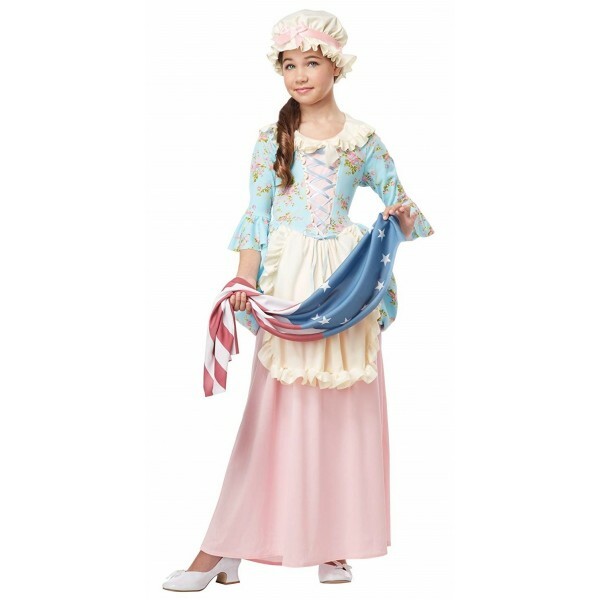 With this colonial lady costume, your Mighty Girl can imagine herself as part of that history. 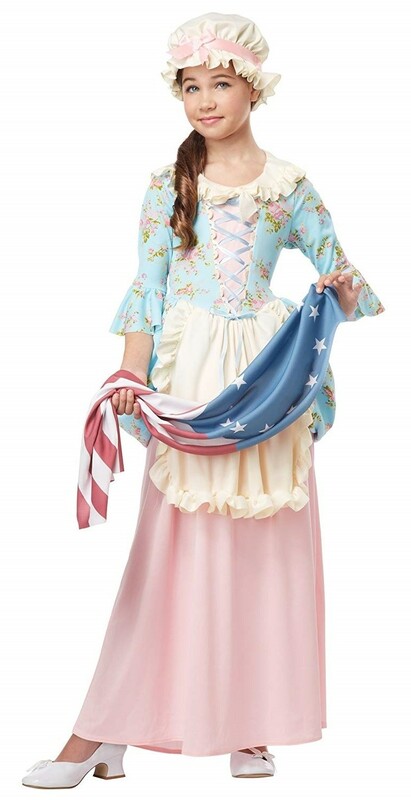 This elegant costume is perfect for a general historical theme, or to represent specific period figures like Betsy Ross, Elizabeth Schuyler Hamilton, and Martha Washington. The set includes a dress with a lace-up bodice; a blue floral top with an attached apron; a matching cap; and of course, the flag of her new nation. Add a copy of Founding Mothers: Remembering The Ladies for a wonderful introduction to these fascinating women.